Visit the adjuticator calendar page to view the festival schedule for all of our judges. Dr. Melissa T. Arasi, is the Supervisor of Performing Arts: K-12 General/Choral Music, Theatre, & Dance for the Cobb County School District. A native of the Atlanta area, Dr. Arasi received her Bachelors of Music Education from Shorter College, and a Masters and Doctorate in Choral Music Education from Georgia State University. Prior to her supervisory role, Dr. Arasi was the Director of Choral Activities at George Walton High School in Cobb County, voice coach and children’s choir director. Dr. Arasi recently served as Visiting Assistant Professor at Georgia Tech where she founded and conducted the Women’s Choir. Dr. Arasi was a member of the prestigious Atlanta Symphony Orchestra chorus under the direction of Robert Shaw for five seasons. Choirs under her direction have performed nationally and internationally including New York’s Carnegie Hall, Paris, Montreal, Quebec City, Venice, Florence, Rome, Vienna, Budapest, and Prague. Having experience and expertise with all ages, Melissa frequently serves as a guest clinician, conductor, and adjudicator for all levels of choral ensembles throughout the southeast. Additionally, Melissa serves as a member of numerous arts organization education boards including, Atlanta Opera, Atlanta Symphony Orchestra, Alliance Theater, Spivey Hall, and Cobb Energy Centre for the Performing Arts. Janice Folsom, founder and conductor of the Southern Crescent Chorale, retired as choral director at Fayette County High School in Fayetteville, GA after having taught there for 29 years. Ms. Folsom also taught elementary and middle school music during her 34 year career in education. She has conducted the Georgia All-State Senior High Women’s Chorus as well as honor choruses and workshops throughout the state. She serves as a Head Adjudicator for GMEA Performance Evaluations. 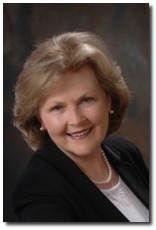 In November 2003, Ms. Folsom was named a National Board Certified Teacher. Ms. Folsom holds the Bachelor of Music from Samford University and the Master of Music Education from Louisiana State University. Dr. Alison Mann is Assistant Professor of Choral Music Education and Program Coordinator for Music Education at Kennesaw State University, where she teaches coursework in Choral Methods, Foundations of Music Education, Choral Conducting, and Vocal Pedagogy for Ensemble Singing. Mann also supervises student teachers and serves as Conductor of the KSU Women’s Choir. She founded and directs the Middle and High school Georgia Youth Symphony Orchestra Chorus in conjunction with the Georgia Symphony Orchestra. Dr. Mann received her Ph.D. in Music Education and Choral Conducting from the University of Oregon, and a Masters of Choral Music Education and Bachelors of Choral Music Education from Florida State University. Harry Musselwhite is Senior Lecturer in Music and Director of Choral Activities at Berry College in Rome, Georgia. He has led his choral groups at Berry College in distinguished performances throughout the world including Carnegie Hall, Spivey Hall, The Rotunda of the United States Senate Building, The Sacre Coeur in Paris, Regents Hall in London, Wells Cathedral, and many, many more. As a vocal soloist he has performed as a soloist in many of the nation's leading opera companies, including Santa Fe, St. Louis Muny Opera, Kansas City Starlight, Asheville Lyric Opera, Chattanooga Opera, and many others. He has performed extensively as an oratorio soloist with the Virtuoso of London Orchestra throughout the United Kingdom. Musselwhite is an award winning filmmaker and screenwriter, and recently had his children's illustrated book "Martin the Guitar" published by Centerstream Publishing and distributed by Hal Leonard. He is executive director emeritus of The Rome International Film Festival. Judy Pritchett taught high school choral music for 32 years - grades 7 - 12. She began her career in Alabama and taught the last 24 years in Georgia. Her groups consistently received superior ratings at district and state music festivals. 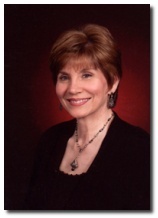 Judy was active in her state and national organizations and received "Music Educator of the Year" for GMEA in 1995. She has directed Georgia All-State Chorus and state clinics and has served as an choral adjudicator many years. Also, Judy served as the director of music for a local church for ten years and then directed children's choirs for eigt years. She earned a BS at Troy State University and a Masters of Music Education at the University of Southern Mississippi. 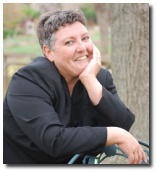 Lynn Urda serves as Conductor & Music Director of the Gwinnett Young Singers, now in its 23rd season. The Young Singers are featured on the Grammy Award winning CD On The Transmigration Of Souls with the Atlanta Symphony Orchestra & Chorus, and have sung in fourteen annual performances of “Christmas With The ASO.” GYS has performed at the Fox Theatre with Celtic Woman, and are currently featured on their televised PBS special “Believe.” They performed for thousands of Music Educators at the American Choral Directors Association conferences in South Carolina and Tennessee and were twice selected to perform at the Georgia Music Educators conference in Savannah, Georgia. Mrs. Urda maintains an active schedule as a guest clinician, conductor and adjudicator for All-State & Honors Choirs, Choral Festivals, Youth Music Camps and workshops for youth and their conductors. She holds a degree in Music Education and Voice from the FSU School of Music, and has spent the majority of her professional life serving as a church musician, directing children's, youth and adult choirs. She also serves as the Director of Youth and Children's Choirs at Tucker First United Methodist Church in GA.
Tim Wilson is a 22 year veteran from the United States Air Force where he was a vocalist with the USAF Bands and Music program. During his time in the Air Force he was a bi-vocational Minister of Music at each duty assignment. He has performed both nationally and internationally for millions and was the featured vocalist on over twelve recording projects. He is professionally associated and performed with various artists such as, Arturo Sandoval, Allen Vizzutti, The New York Voices, Babbie Mason, Luke Garrett, Larry Gatlin and Greater Vision Trio. Tim has extensive training in the fields of recording engineering, lighting design and theatrical production, video editing and producing. He is trained choral and orchestral conducting from Georgia Perimeter College and from various commanders during his military career. Tim holds a Bachelor of Science degree in Music and a Master of Arts degree in Worship from Liberty Baptist Theological Seminary in Lynchburg, Virginia. Edgar Scruggs is Director of Music Ministries for Mountain Park United Methodist Church and Mr. Scruggs also held the position as Director of Choral Studies, first, at the University of Georgia and most recently, at Belmont University in Nashville, Tennessee. 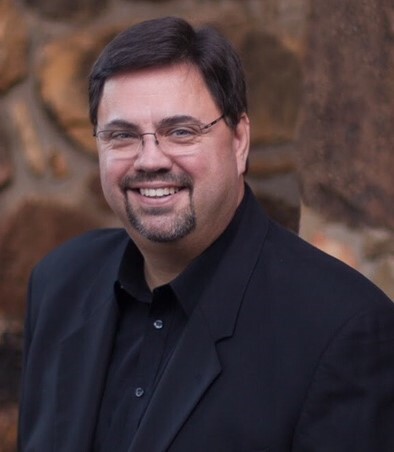 He has been an educator at the high school level and has served as Director of Music for churches in Connecticut, Tennessee and Georgia. Mr. Scruggs received degrees from the University of Tennessee (B.S. and M.M. ), The Southern Baptist Theological Seminary (M.C.M.) and has completed course work for his Ph.D. studies at Florida State University. As a vocalist, he sang with Robert Shaw in both the Atlanta Symphony Orchestra Chorus and Festival Singers. 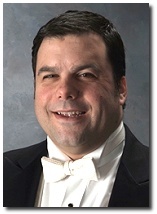 He has conducted All-State/Honor Choirs, is a prominent clinician and choral adjudicator, and has prepared choirs for many distinguished conductors including Robert Shaw, Sir David Willcocks, and John Rutter. Mr. Scruggs' ensembles have performed at the state, regional and national conventions of the Music Educators National Conference (MENC) and the American Choral Directors Association (ACDA). John LaForge is Artistic Director and Conductor of the Lanier Chamber Singers, an auditioned choir of 32 voices based in Gainesville, Georgia. He is also Director of Worship Arts at Gainesville First United Methodist Church. He recently served as Coordinator of Music Education for Fulton County Schools, where for many years he worked to support music initiatives with numerous organizations in the Atlanta area and nationally, including the Atlanta Opera, Atlanta Symphony Orchestra, Capitol City Opera, Spivey Hall, and the Metropolitan Opera National Council. Over the past 25 years, he has performed as a bass-baritone soloist with opera companies throughout the United States, including The Atlanta Opera, Washington National Opera, Dallas Opera, Santa Fe Opera, Central City Opera, and Chautauqua Opera, among others. He has an extensive background performing oratorio and art song repertoire and appears regularly as a soloist in and around metropolitan Atlanta, including with The Michael O’Neal Singers, Atlanta Ballet, Georgia Philharmonic, and Capitol City Opera. In recent years, he has appeared in multiple seasons as a guest artist with the Amalfi Coast Music Festival and has performed as a soloist and conductor on programs with The Michael O’Neal Singers during tours in Austria, Italy, and Spain. 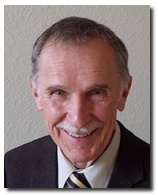 Dr. Benny Ferguson is a 42 year veteran educator and educational administrator. He retired as a full professor and dean of the Division of Fine Arts at Young Harris College. Prior to his appointment at Young Harris College, Ferguson served as Director of Visual and Performing Arts for the Savannah-Chatham County Public Schools. He earned his bachelor's degree from Newberry College, the Master of Music degree from the University of South Carolina, and the Ph. D. degree from the University of North Texas. 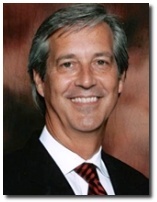 In addition, Dr. Ferguson has served as the President of the Georgia Music Educators Association and the Southern Division President of the National Association for Music Education. Associate Professor of Music and Director of Bands since 2009, David Kehler has served as Director of Bands at Kennesaw State University where he oversees all aspects of the University’s band program while serving as Music Director and Conductor of the KSU Wind Ensemble. In 2012, the KSU Wind Ensemble was a featured ensemble and hosted the Southern Division College Band Directors /National Band Association Conference. In 2013, the KSU Wind Ensemble was the winner of the 2013 American Prize for best Wind Ensemble/Concert Band performance in the United States. In addition to his ensemble responsibilities, Dr. Kehler teaches courses in instrumental conducting, wind literature and symphonic repertoire. As Director of Bands and Professor of Music at the Hodgson School, Cynthia conducts the Wind Ensemble, teaches conducting, leads the MM and DMA programs in conducting, and oversees the entire Hodgson band program. Cynthia Johnston Turner is in demand as a conductor, conducting and ensemble clinician, and speaker in the United States, Latin America, Europe, and Canada. Before her appointment at the Hodgson School at the University of Georgia, Cynthia was Director of Wind Ensembles at Cornell University. Earlier in her career Cynthia was a high school music educator, taught middle school beginning instrumental music in Toronto and choral music in Switzerland. She currently serves as a faculty member with the summer Performing Arts Institute at Pennsylvania's Wyoming Seminary and as a conductor with the Syracuse Society of New Music, the Austrian Festival Orchestra, and the Paris Lodron Ensemble in Salzburg. A Canadian, Cynthia completed her Bachelor of Music and Bachelor of Education degrees at Queens University and her Master of Music in music education and conducting at the University of Victoria. She received the National Leadership in Education Award (Canada), the Excellence in Education Award (Ontario Secondary School Teachers Federation), and the Marion Drysdale Leadership Award (also from OSSTF). 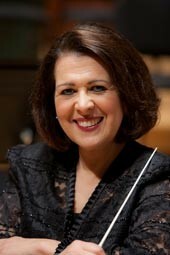 Georgia Ekonomou has been a string educator in Georgia for 37 years, and presently serves as the Director of Orchestras at The Paideia School in Atlanta. Before coming to Paideia, she taught at The Lovett School in Atlanta. In 1991, she was awarded Lovett's Woodward Award for excellence in teaching. She currently conducts three orchestras at The Paideia School. Additionally, she conducts the Emory Junior Chamber Orchestra, the preparatory orchestra of the Emory Symphony Youth Orchestra. In 2014, she conducted the Maryland All-State Orchestra and conducted the Intermediate Symphony Orchestra at the Interlochen Summer Arts Camp. Her educational background includes a Bachelor of Music Education from Northwestern University, and a Master of Music Education from Georgia State University. Additionally, she studied conducting at the Conductor’s Institute in South Carolina under Harold Farberman and Donald Portnoy. A violinist, she performs with the Atlanta Opera Orchestra, and has performed with the Woman's Jazz Orchestra of Los Angeles, the Atlanta Ballet Orchestra, the Emory Chamber Players and other ensembles in the Atlanta area. Mrs. Ekonomou served on the advisory committee for the Midwest Band and Orchestra Clinic, and on the national Membership committee for ASTA. 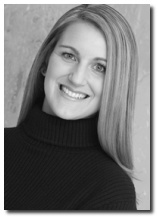 She is active throughout the United States as a conductor, clinician and adjudicator. 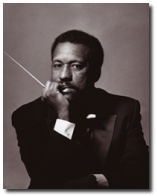 College, Boston University, and Northwestern University, where he received the Doctor of Musical Arts degree in conducting. An ardent supporter of contemporary and avant-garde music, Dr. Ambrose is co-founder, co-artistic director and conductor of the Atlanta-based contemporary music ensemble Bent Frequency. Comprised of members of the Atlanta Symphony and Opera Orchestras as well as musicians from Atlanta’s independent music community. 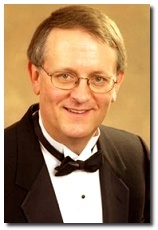 Dr. Ambrose is also founder and music director of the Atlanta Chamber Winds a professional dectet. 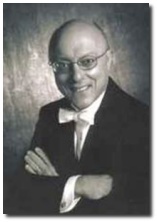 Lou Cefus has over 30 years of teaching experience, including band, orchestra, chorus, and jazz. He begin his career with the Milan Schools, Milan, Ohio and taught at Wheeling High School, Wheeling, West Virginia, the Dekalb County Schools, Decatur, Georgia, Perimeter College, and Augusta State University. He was on the faculty for Georgia's Governor's Honors Program for 4 years. He founded and directed the Jazz Ensemble at Perimeter and conducted the Georgia All-State Jazz Ensemble. The Georgia Music Educators Association presented to him the Music Educator of the Year Award. Lou is in high demand as an adjudicator throughout the southeast. 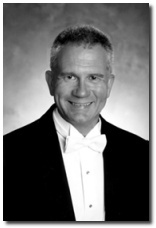 Dr. John N. Culvahouse is Professor of Instrumental Music Education at Kennesaw State University, GA. From 1991 until 2007, he served on the faculty at the University of Georgia, where he was a tenured Associate Professor of Music and member of the Graduate Faculty. Prior to his appointment at UGA, Dr. Culvahouse taught in the public schools in South Carolina and Tennessee for 17 years. He received the bachelor and master of Music Education degrees from The University of Tennessee and the Doctor of Musical Arts in Conducting from the University of South Carolina. Dr. Culvahouse is the Immediate Past-President of the National Band Association and is active as a guest clinician and adjudicator. Dr. Stan DeJarnett recently retired as the Superintendent of the Morgan County Schools in Madison, Georgia. During his tenure Morgan County Schools and staff were recognized regionally and nationally for their innovation in use of time, technology and human resources. 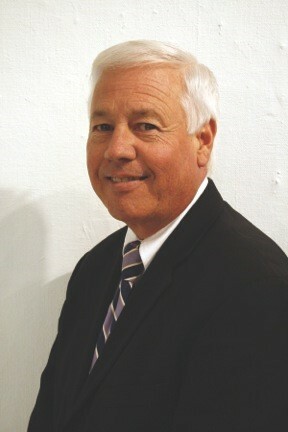 In 2006, he was selected as “Educator of the Year”. Dr. DeJarnett’s background in music includes successful experience at the high school and college level in both Georgia and Illinois. He served as the State Music Consultant for the Georgia Department of Education, where his record included expansion of the music component at the Georgia Governor’s Honors Program to include jazz performance. He has served on the boards of the Georgia Music Educators Association and the Georgia Association of Jazz Educators, where he also served as President. He is still active in the Southeast as an adjudicator and clinician for concert bands and jazz ensembles. He performs as a regular member with the Atlanta 17 Jazz Orchestra, as well as other Atlanta area bands. He earned his Bachelor’s and Master’s Degrees in Music Education at Western Carolina University and his Doctorate in Educational Leadership at the University of Georgia. 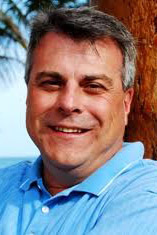 Dr. Patrick Dunnigan is Director of Bands and Professor of Music at The Florida State University College of Music in Tallahassee. A member of the FSU faculty since 1991, Dr. Dunnigan is the principal conductor and music director of the University Symphonic Band and co-director of the FSU Marching Chiefs. As Director of Bands, he oversees all aspects of the Florida State band program that includes four concert bands, a chamber music program, graduate teaching program, and athletic pep bands. A native of Frankfort, Kentucky, Dr. Dunnigan received the Doctor of Philosophy in Music Education degree from the University of Texas at Austin, the Master of Music in Conducting degree from Northwestern University, and the Bachelor of Music Education degree from the University of Kentucky. 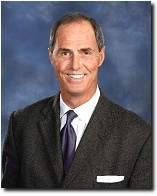 He received the prestigious Florida State University Teaching Award in 2003 and 2012. 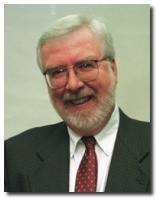 In 2006, Dr. Dunnigan was elected to membership in the American Bandmasters Association. Dr. Dunnigan currently serves as National Vice President of the College Band Directors National Association and will assume the national presidency of CBDNA in 2015. Mickey Fisher is semi-retired after 34 years of service to the Dalton (GA) Public School System where he taught middle and high school band and served as Coordinator of Instrumental Music. Mr. Fisher serves as the applied woodwind instructor at Berry College in Rome, GA. Mr. Fisher performed professionally as an oboist with the Chattanooga (TN) Symphony and Opera Orchestras for eight years. Mr. Fisher is co-founder of Bravo Music Camp, a summer camp for middle school band students held at Berry College. 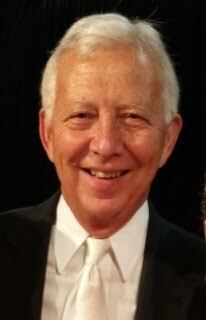 Throughout his successful career, he has conducted clinics and adjudicated bands extensively throughout the Southeastern United States, and for nine years, served as director of the Georgia Lions All-State Band in performances for State and International Conventions. Mr. Fisher was awarded the Citation of Excellence by the National Band Association and recently earned the Distinguished Service Award by the Georgia Music Educators Association. Fisher holds B.S. and M.M. Ed. Degrees from Austin Peay State University. In the course of his career, he has held memberships in many professional organizations including GMEA, MENC, NBA, ASBDA, Phi Mu Alpha, WASBE, and is past president of the Zeta Chapter of Phi Beta Mu National Bandmasters Fraternity. Dr. Thomas V. Fraschillo, a well known public school, university, and professional conductor, has served as catalyst and mentor for the teaching profession for 44 years. Through his recordings, The Music of Luigi Zaninelli and The University of Southern Mississippi Wind Ensemble LIVE IN ITALY, and his publishing, conducting, and lecturing in the United States, Europe, Asia, and Australia, he is considered an international musician/scholar. His most recent appearances in Italy have been with La Banda dell’esercito/The Italian Army Band in Rome; Fraschillo is the first American-born conductor to have been invited to appear in a public performance by this prestigious military concert band. Dr. Fraschillo often serves as a member of the judging panel for many international festivals, most notably the Concorso Internazionale di Composizione "R. Marenco" di Novi Ligure, and the Concorso Internazionale di Composizione Originale per Banda di Corcian in Italy. Fraschillo is past president of the American Bandmasters Association, past president of the National Band Association, and President of the CBDNA Southern Division. Dr. Fraschillo has recently been recognized by election to the National Band Association’s Hall of Fame of Distinguished Conductors, a distinct honor that recognizes his successful and lengthy career. adult community band. They have twice performed at the Georgia Music Educators Convention, the Midwest Clinic and the NBA/CBDNA Southern Division Conventions. He is the Chair of the Organizing Committee for the newly founded Minority Band Directors National Association. 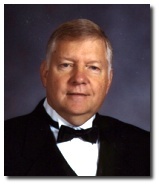 Gene Inglis, a graduate from Jacksonville State University in Jacksonville, Alabama, has completed his 40th year teaching and his 10th year as Director of Bands at Saks High School in Anniston, Alabama. Gene is an active member of Music Educators National Conference, Alabama Music Educators Association, the National Band Association, Phi Beta Mu Honorary Professional Music Fraternity and Phi Mu Alpha Professional Music Fraternity. 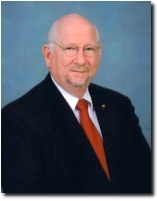 He has served in various leadership positions in these organizations over the past 40 years including the State Band Chair for Georgia Music Educators Association. In the areas of marching, concert, and jazz performance, Mr. Inglis has served as adjudicator, conductor, and clinician throughout the southeast. He has received the national awards including the “Legion of Honor” and the “Citation of Excellence” presented by the National Band Association in 2007 and 2012. He was listed as the Alabama recipient for the “50 Directors Making a Difference” in the Band and Orchestra Magazine. He received the Alabama Music Educators Association’s “Outstanding Music Educator Award” at their In-Service Conference in 2013. Benjamin J. Diden is Associate Director of Athletic Bands and Assistant Director of Bands at the Georgia Institute of Technology, where he serves as conductor of the Symphonic Band. His duties also include teaching and writing drill for the 370 member Yellow Jacket Marching Band, Music Theory, Applied Clarinet instruction and he serves as the Faculty Sponsor of the Epsilon Theta chapter of Tau Beta Sigma. Mr. Diden received the Bachelor of Music in Music Education degree and the Master of Music in Instrumental Conducting degree from the University of Tennessee. His primary conducting teachers include Dr. Gary Sousa and Professor James Copenhaver. Mr. Diden is a member of the College Band Directors National Association, the National Band Association and an honorary member of Tau Beta Sigma and Kappa Kappa Psi. Dr. Kerry Bryant Bryant is currently the Director of Bands at Adairsville (GA) High School and serves as Adjunct Faculty in Music Education at Reinhardt University. His broad experience ranges from elementary to graduate music education during a storied 28-year career in teaching and administration. He served as a Coordinator of Fine Arts for the Barrow County (GA) schools, pioneering many notable and award-wining initiatives. He was selected as the 2011 Honoree for the Woodruff Arts in Education Leaders in Atlanta, and also the Georgia Music Educator of the Year in 2016. His fine symphonic bands have been invited to perform at numerous college band clinics and symposia across the country. 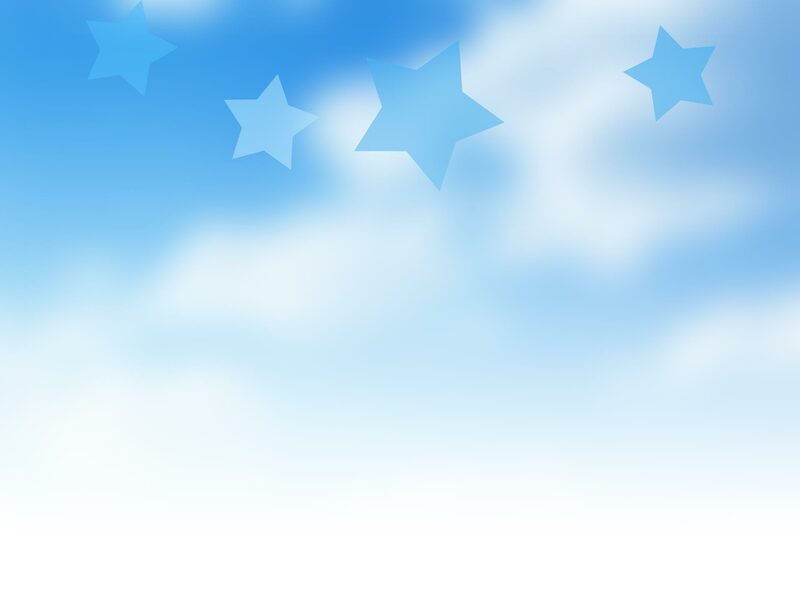 Dr. Bryant maintains an active adjudication, clinician and conducting schedule nationally. His editions, arrangements and transcriptions for bands may be found in the catalogs of Schirmer and Arrangers Publishing. He holds degrees from the Universities of Kentucky (BME), South Carolina (MME), Lincoln Memorial (Ed.S.) and Liberty (Ed.D. ).